The first chapter of Jeff Vanderstelt’s book focuses on the problem he saw with the traditional (practiced by our parents’ generation) understanding of ministry and church. 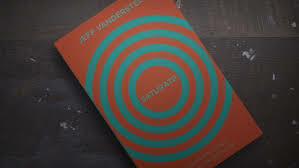 Let’s first off note that Vanderstelt is an excellent writer. His ability to communicate big ideas through simple stories makes it easy for us to capture the heart of what he is saying. So let’s trace the problem as he encountered it. Jeff was a student pastor at a mega church when he first began feeling unsettled in what he was doing. Primarily, he struggled in his position because of his gifting, which tended towards starting things instead of managing organizations. As he stepped back to analyze his situation, God showed him something significant. Jeff realized that most churches do not equip people to live out their faith in every sphere of their life. Worse, when someone does live their life on mission, ministering to other people, like his parents did, they are not recognized or encouraged in doing ministry by the church. After confronting the reality that most understand the church as a place or event you go to, Vanderstelt explains church from a Biblical perspective. He says, “[When] the Bible uses the word church, it is referring to God’s people gathered to Jesus to do his work in the world.” (24) This is one of the most fundamental theological points he makes about the church. The church is not a gathering of people around something they are doing or will do. The church is God’s people gathered around Christ and what he has done. And, because you can’t go to or be a part of an event that happened 2,000 years ago, Christ’s work unites us in the same way my son’s toys are united – they are a united group because they belong to him. We are united not because of what we do, but who we are, and who we are should impact what we do. For my Sojourners: I will post a question or two below, in the comments section. Answer them and ask your own. Hey Sojourners, I absolutely love this book, and I hope you do too. First question: Do you see and understand the problem Jeff Vanderstelt saw, and how have you seen the same problem in your Christian experience? Second question: What in this chapter jumped out at you? First question: I totally see his point about the church being incorrectly defined. I’ve been a Christian for 20 years and these ideas of living life on mission and being the church everyday instead of preset times and places are still new to me. I think this is clear by the reaction you get from other Christians when you tell them about living in a missional community. They look at you like you have three heads or like you’re joining a cult. Second question: what jumps out to me most about this chapter is how all of this seems to stem from a deep sincere desire to see people know Jesus. It’s not a project or a hobby for him. He doesn’t want a new type of church because he wants better music or more reformed doctrine. He wants a new type of church because he wants to introduce the love of Christ to as many people as he can. I also just started thinking about your statement about his motivations, and I realized he did such a great job of not speaking poorly of his previous church or other churches in general. He speaks towards his passion for seeing people know Jesus, not against people different than him. That is a really cool distinction. Most people really do think the whole missional community thing is weird. I really love the looks I get when I meet with pastors and talk about having had other pastors into my home for dinner. The church really does struggle to know what to do with people who want to authentically connect with other people. Most Christians I meet don’t have much of a value for hospitality, which is really sad, because Paul considered it one of the qualifications of an elder in 1 Timothy 3! As we are here on the ground, I feel like we are learning what it means to be hospitable. We are also learning how to do it well! And it is a really fun means of doing ministry! The idea of what hospitality is within most of the church is so shallow. They still see the community in the context of what they can get out of it as opposed to what they can put into it. It really takes a movement of the spirit to change the mindset of people from getting to giving. I am LOVING this book. I think he has done a great job of defining the problem within the church, and like both Tim and Whitney pointed out, doing so without bashing the model of his previous church. I love hearing his heart for involving everyone in the mission of the spread of the gospel. (Hmm… sounds strangely biblical! 😉) I am so excited to see how the change in his philosophy of ministry impacts his life and future church.